Pikes Peak International Hill Climb 2012 set new course records due to its fully paved tarmac. 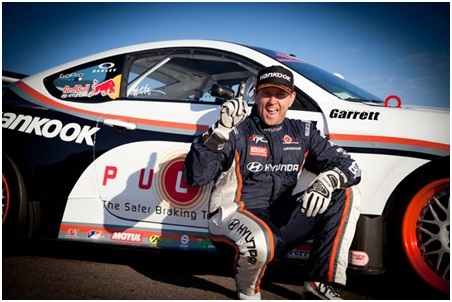 8-time experienced champion Rhys Millen, the son of Rod Millen, took the win this year in a 2012 Hyundai Genesis Coupe in the Tim Attack class. Following Rhys was Romain Dumas in a 2012 Porsche GT3R in the Pikes Peak Open class. Surprisingly, two Ducati Multistrada's took 3rd and 4th, crushing the previous bike record by well over a full minute! You have got to love this shot! Thanks TopSpeed, such a mean looking car. 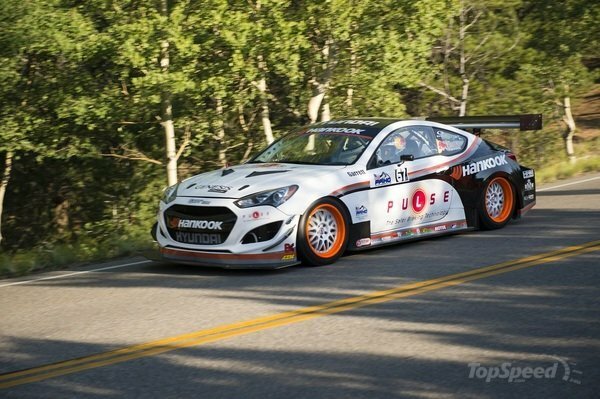 Winner for 2012 is the Hyundai Genesis...now that is a true racing team to build a great car.